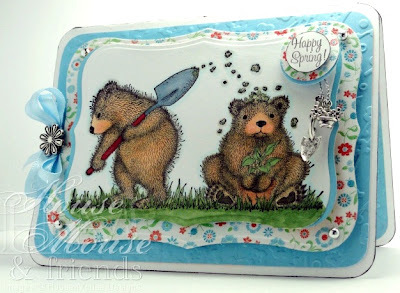 Cards by America: House-Mouse & Friends Monday Challenge #91 - Welcome Spring!!! House-Mouse & Friends Monday Challenge #91 - Welcome Spring!!! Hello and welcome back to my blog. Sorry its been so long since my last post. It is time for another fun challenge at House-Mouse & Friends Monday Challenge Blog! Our fabulously talented DT Member Mary Giemza (whop is taking a break while she moves), and is our host this time, wants to see us creating projects to Welcome Spring. So come and join us using your House Mouse, Gruffies, or Happy Hoppers. We love visiting your blogs to see your great HM&F creations. There is a FUN prize from Simon Says Stamp that we will offer to one lucky winner. So come and play along HERE. Stamps: Stampabilities, Gruffies by Jareckie Designs, called: "Digging Up Dirt", #OR1040, featuring Pebble and Booda from 2007. The Sentiment is from Studio G clear stamps. Thanks for stopping by today. I enjoy hearing from you! Wow, this is a really cute spring-card! I haven't seen these Gruffies before, they're great! Fabulous card! I love the cute image and the colors! Thank you for sharing with us at the Whoopsi Daisy challenge. Hope to see you again next week challenge! love your card and hope you have been doing okay. Gorgeous card, love all the layers and papers. Great charms! Such an adorable image, and as always,Your coloring is amazing..
What a great card. Those bears are great. Thanks for joining us at the Creative Belli Challenge. Hi America! What an adorable card! I just love these little guys! Your coloring and details are always fantastic! I love your charms too! Thanks for sharing with us at Stampin Sisters in Christ! Girl you do some fabulous cards, and this is no exception :). 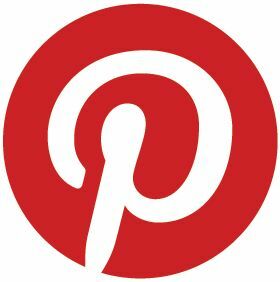 Thank you for joining us at Stampin Sisters in Christ. hi america, your card is great and your sketch is beautiful. love the colors and the coloring. Love this card! Great to have you joining in with us this week at DYSU! Hope you come back next week. It's so pretty, love the image. Thanks for joining us at Do You Stack Up. So gorgeous card<I love the image and the colours. So glad that your little Gruffies came out of hibernation to greet spring!! So adorable. I love the colors that you used. The charms really add that special something. Definitely a TREASURE card. Thanks for sharing it with the Stampin' Sisters in Christ. Have a blessed day today!! I LOVE LOVE LOVE LOVE LOVE THIS!!! Thanks a LOT because NOW I NEED this stamp!!! uUUGH!!! And I just LOVE the colors you used. aawwwww...so refreshing! So beautifully colored America!! Adorable!! Love all the blue! So springy!! Great design! Hello my lovely friend - hope all is well in the Kuhn household!! Fabulous card, your colouring is sensational and those Gruffies are so adorable!! Your choice of colours and papers is just perfect!! Ohh your bears are the SWEETEST!! Love those sweet bears and I love the paper you chose! Spring for SURE! Thanks so much for joining us at SSDS this week! Gorgeous card and wonderful colors! Thanks for sharing it with us at SSDS. Good luck with all the challenges. What a great card!! I love the way you cut the front and the layering is gorgeous!!! Love the image too! :) Thanks for joining us on SSDS this week - please join again!!!! America, what a great Spring card! Love the colors and those silly bears are so cute, colored beautifully! Hope things have calmed down a little for you. Your card is so sweet, love this funny image and your shaped card. OMG!!! This card is soooo adorable. I love the colors you used on it too!!! TFS!! This card is beautiful. I love the colours, the papers, the colouring and the little charms, just everything! Thanks for joining us at By The Cute And Girly, don't forget to stop by tomorrow for the new challenge.